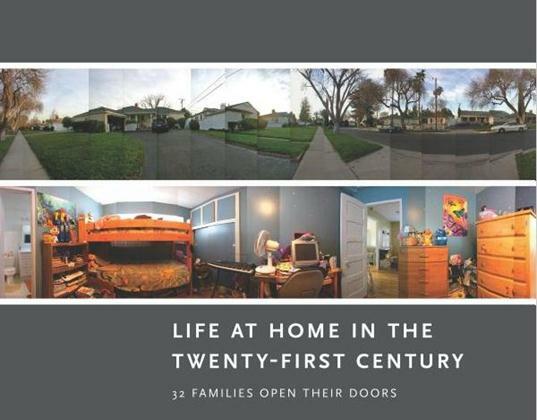 Families drowning in too much stuff is the focus of a new book, Life at Home in the Twenty-First Century: 32 Families Open Their Doors, by researchers at UCLA’s Center on Everyday Lives of Families (CELF). To get information for this new book, CELF sent a team of professional archaeologists, anthropologists and other social scientists into the homes of 32 middle-class, dual-income families in Los Angeles. CELF found that most families are living within a sea of material goods and on top of that spending very little time with each other. Some of the major findings of this research included costly master suites of rooms that were virtually unused, kids and adults spending all their time indoors, stacks and stacks of clutter, entire walls devoted to displays of Barbie dolls, Beanie Babies and other toy collections and garages so packed with household overflow that cars had to be parked on the street. Keep reading to see more astounding facts from this research. Homes with too much stuff elevates levels of stress hormones for mothers. Only 25% of garages could be used to store cars because they were so packed with stuff. Big-box stores such as Costco and Sam’s Club have heightened the tendency of Americans to stockpile food and cleaning supplies. Costly “master suites” for parents are the most common renovation in the researched homes, yet the spaces were hardly used. Even though this study took place in L.A., an area with outstanding year-round weather, families hardly used their yards, even those families who invested heavily in outdoor improvements and furnishings. Most of the families relied heavily on convenience foods like frozen meals. Fragmented dinners — those in which family members eat sequentially or in different rooms, were extremely common. Keep in mind that all this stuff is detrimental to the environment, your wallet and it doesn’t just clutter your home and the planet – it clutters your emotions too. Recent studies show that the more materialistic a child, the less likely they are to participate in eco-activities and the more likely they are to be sad, anxious and insecure. Visit the The Campaign for A Commercial Free Childhood to learn more about the massive consumerism families face or read Parents Trapped in Cycle of Too Much Stuff for tips about how you can limit consumerism in your home. Families drowning in too much stuff is the focus of a new book, Life at Home in the Twenty-First Century: 32 Families Open Their Doors, by researchers at UCLA's Center on Everyday Lives of Families (CELF). To get information for this new book, CELF sent a team of professional archaeologists, anthropologists and other social scientists into the homes of 32 middle-class, dual-income families in Los Angeles. CELF found that most families are living within a sea of material goods and on top of that spending very little time with each other. Some of the major findings of this research included costly master suites of rooms that were virtually unused, kids and adults spending all their time indoors,�stacks and stacks of clutter, entire walls devoted to displays of Barbie dolls, Beanie Babies and other toy collections and garages so packed with household overflow that cars had to be parked on the street. Keep reading to see more astounding facts from this research.